Having a plate full of things to do is invigorating and terrifying! District CX is tomorrow and I still have to get the set-up set up, glue a tire, charge the battery, and I’m sure a dozen other small things that I’ll forget til the last minute. Early Birds start on Sunday morning; Always a full day of fun in Fremont, you should come out! Monday night team meeting – really important, lots to cover – better get started on that. 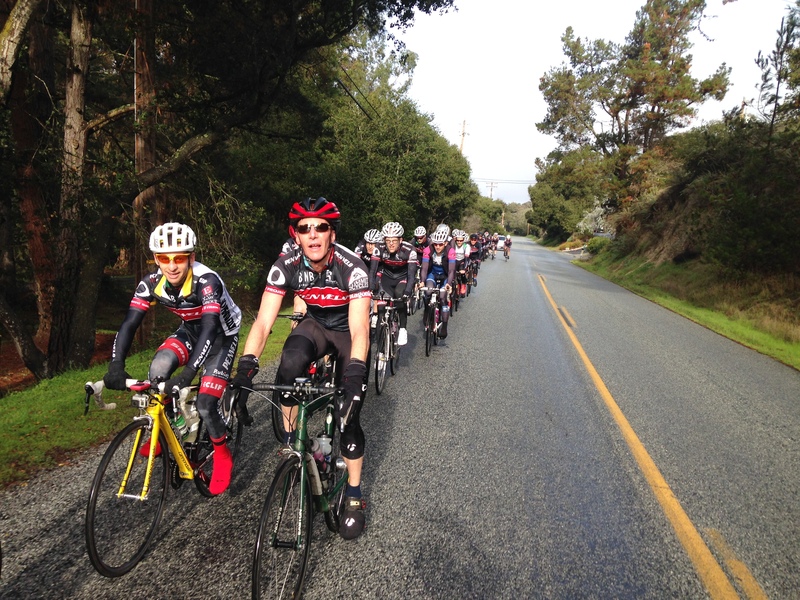 Friday rally down to Santa Maria for VeloSport Junior camp. Saturday / Sunday Work junior camp Saturday and Sunday, rail home for.. This past weekend the Cyclo-cross World Cup kicked off in Valkenburg with a commanding win by Lars Van der Haar, after a typically audacious start for the young gun. The ability to sprint for the hole shot by LVdH and other young stars like Mathieu Van der Poel are impressive and, surely, taxing, but how taxing are they? One of the critical aspects of success in cyclocross is the ability to repeatedly hit the gas in short and crisp efforts. Ranging from the charge off the line to the myriad of 5 and 10 pedal stroke punches out of corners, and on out to those 10-60 second efforts that define cross racing, you are tapping your anaerobic capacity, or W’ (pronounced W prime) from the start of the race, so let’s learn a little bit more about it. Over the past decade or so, lactate threshold, and the mechanisms therein, has risen to be the de facto gold standard of performance coaching and analysis. It is often discussed in both lay and scientific literature, and has been written about time and again by myself and others in the Toolbox family. Consider that a high lactate threshold power (or functional threshold power (FTP), maximal lactate steady state (MLSS), or critical power (CP)) really sets the entry point for success in racing, if yours isn’t sufficiently high, you probably won’t be in the pack to make the final selection. Conversely, anaerobic efforts – those short and demanding 20-90 s efforts – while often discussed as to their importance, have been a bit of a black box. Thankfully, it is coming more and more to the front of the discussion of what drives performance. This makes sense, really, when you think about racing. After all, rare is the breakaway where you ride everyone off your wheel while doing a steady threshold effort. Whether on the road or in CX, eventually you need to make one or more supra-threshold effort to free yourself from the pack for that winning break or sprint. 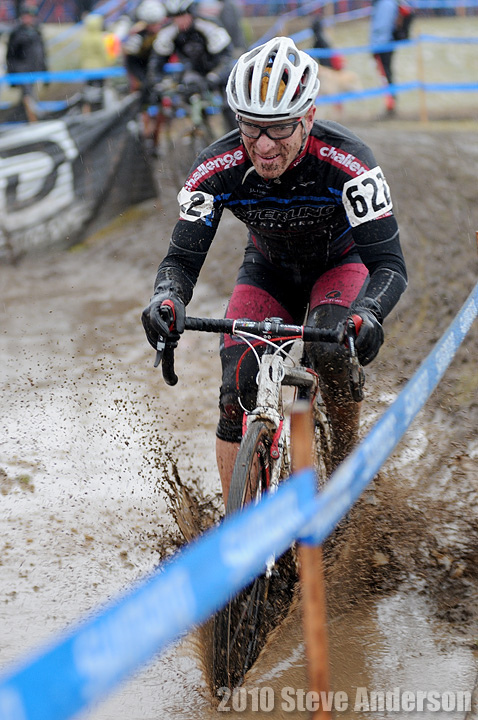 Watching the first 5 minutes of a pro cyclocross race, it’s easy to believe that they sprint the entire time. And while their pace is likely a sprint to you and I, the reality is that an individual’s true capacity for those supra-threshold efforts is fairly limited. Often referred to as Anaerobic Work Capacity or more currently W’ (W prime), it is a short term energy source that uses non-aerobic (non oxygen) pathways that fills the gap when you hit the gas. Essentially, anaerobic glycolysis is a 10 step process that very quickly produces energy to meet the demands of exercising muscles at a rate that aerobic metabolism simply cannot match. We typically speak of efforts in the 20 s – 2 minute range as being primarily ‘anaerobic’. Indeed, in the nomenclature of power based training we often have an “anaerobic” zone that is generally greater than 120% of your threshold power, and this zone of training is used to try and raise both the absolute size of this reserve, and your ability to recover from those efforts. It’s a very useful system, unfortunately, the trade off is that there isn’t very much of it. You’ve likely heard this in recent coaching parlance as your “box of matches” in terms of saving those matches during races and increasing the number and burn power of those matches during training. In 2012 Skiba et al, sought to model W’ use during bouts above Critical Power (roughly equivalent to the functional threshold power you likely have heard about – the power you can sustain for about an hour*), followed by recovery at different workloads. Each effort involved a 60 s hard interval followed by a 30 s recovery interval, with each recovery phase at a different intensity ranging from easy (20 Watts) to moderate, then hard, then severe. • The absolute size of W’ in their subjects ranged between 14 and 28 Kilojoules, with a mean of 21 Kj. Recall that a Kilojoule is simply a thousand joules, and a joule is equal to watts x seconds (J= W x s). So when you are doing 333W for 3 seconds you’ve used 999 joules, or roughly 1 Kj! That’s not a very big basket, about a minute all-out! • They affirmed that W’ began to be immediately depleted once power rose above Critical Power and that reconstitution of W’ did not start until subject power was under CP. • The time of reconstitution (Tw) was impacted by the intensity of the recovery. Indeed at the 20W recovery level, reconstitution ranged between 370-380 seconds, while it was 452 seconds for the “medium” recovery effort and averaged 580 seconds for the “hard” recovery interval. The “severe” recovery constant averaged over 7000 s, indicating no W’ reconstitution within the 30 s recovery phase of the trial. So how can you use this information in your daily training and racing? First, recognize that your stores of anaerobic energy are likely smaller than you thought they were. This again highlights the critical strategy of conserving your energy as much as possible while racing. Easier said than done, but that should always be your overriding goal until you make your decisive move. When you, or your coach, are designing “AWC/W’” workouts, maximize your recovery! If your workout goal is to truly emphasize your W’ stimulus, then it makes no sense to start your next interval until you are recovered from the previous one. Recall that, even at the 20 watt recovery level, it still took roughly 6 minutes for your W’ system to reset itself. On the other side of the coin, when you are doing W’ work, the key is to go hard enough to tax the system, and mix the durations – remember it’s a range of effort. Finally, focus on threshold! Skiba et al demonstrated that those with a higher VO2max had significantly faster reconstitution than those with lower aerobic capacities. They surmised that this was due to the larger “gap” between their critical power and recovery power, essentially they had a bigger tank to draw from for their recovery. So work to get your threshold up as high as possible. A final observation from the studies was the idea that fiber type and creatine phosphate levels may have a significant role in recovery, possibly indicating a different recovery mechanism between the two fiber types. That is a compelling tidbit and I hope to see more research on that. Anaerobic level efforts, those twenty to one hundred and twenty second efforts that hurt so much, can be viewed as the crucible in which results are derived. While functional threshold power gets you to the party, ability to deliver supra-threshold efforts during crunch time keeps you in for the win. Unfortunately, each of us possess a relatively small amount of W’ and the reconstitution of it takes a very long time. On average, in the Skiba study, participants had less than 25 Kilojoules of available anaerobic capacity, and a 30 second all out sprint took an average of 333 seconds to recover from even when power was exceptionally low (20 watts). Higher recovery power took even longer. The practical applications of this are notable when you begin to look at your performance in events like cyclocross, with a high anaerobic demand profile. Train the systems you need in a manner that will maximize your return, and don’t neglect your threshold power. *It is important to note that although each method results in a similar estimation of W’ capacity, they go about it from very different approaches and shouldn’t necessarily be used interchangeably as the protocols are unique.